It is good time all the way for popular Nigerian dance hall star, Inetimi Odum popularly called Timaya whose fame soars in Nigeria music scene. 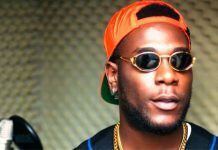 Recently, he released a new single titled “plantain Boy” from his new album that is yet to be completed. The new single project currently rules the market and music scene raking in millions for the Egberi papa 1 of Bayelsa, who feels there is need for him to broadcast his success, with his songs, Obscenely declaring everything from his sexual life to his fleet of cars. Many are of the opinion that the 33-year-old musician is so full of himself and brags of everything he has. To this effect an older dance hall crooner Nico gravity had released a single titled “I wan finish Timaya’ where he thoroughly Trashes Timaya, warning him not to allow his success get into his head. In the new single, Timaya sang about how he used to hawk plantain and how he has been able to acquire a lot of wealth today, ‘plantain boy to big boy’, he sang. The Bayelsa State born militant Singer whose love for Nollywood actress EmpressNjamah turned sour when he was allegedly manhandled, hand cuffed and subsequently detained by Festac Police for conduncting hilself in a manner likely to cause breach of peace. After his romance with Empress crashed, he decided to put all the show of shame behind him and to continue with his life, to that effect he recently added a new escalade truck valued at N9.5 million to his fleet of cars. Timaya who is today one of the biggest stars in Nigeria came into limelight with his first major single, ‘Dem Mama’ an account of the 1999 destruction of Odi, a Riverine community in the oil producing Niger Delta by soldiers who were hunting down some people whom they claimed killed 8 police men. The village was burnt down and many people killed. Timaya bravely tackled the topic in his songs years later and won instant street credibility for his boldness. It is obvious that Timaya is currently the rave of the moment in the Nigerian music scene with a lot of musicians clamouring to do a collabo with him. He has collaborated with J. Martins, Keffe, spyderman, Terry G, 2 shot, KC presh and a host of others. Timaya was born in Port Harcourt, Rivers State. As a teenager in Nkpolu Oroworukwo secondary school where he won so many awards in inter school competitions, he later moved to Lagos to stay with his elder sister at his parents’ request in order to complete his secondary education. In Lagos, he attended Ikeja High School mafoluku. He started his music career with a couple of eary collaborations with some undergrade artistes and was a back up singer for Eedris Abdulkareem. Recently Timaya performed live at AY show held in Hotel Presidential Port Harcourt where he thrilled the mammoth crowed with some of his hit tracks. Meanwhile, the news making rounds in the Entertainment industy is that Timaya has found a new lover. According to our source the new babe is said to be still a student in one of the leading universities in the country. The lady was sported recently at Timaya’s house in Marwa gardens Alaska during a musical video shoot of one of the Dance hall artistes parl. Reports have it that after Timaya parted ways with Nollywood actress he picked another actress, Anita Joseph as replacement, but the truth is that he has found a new lover.